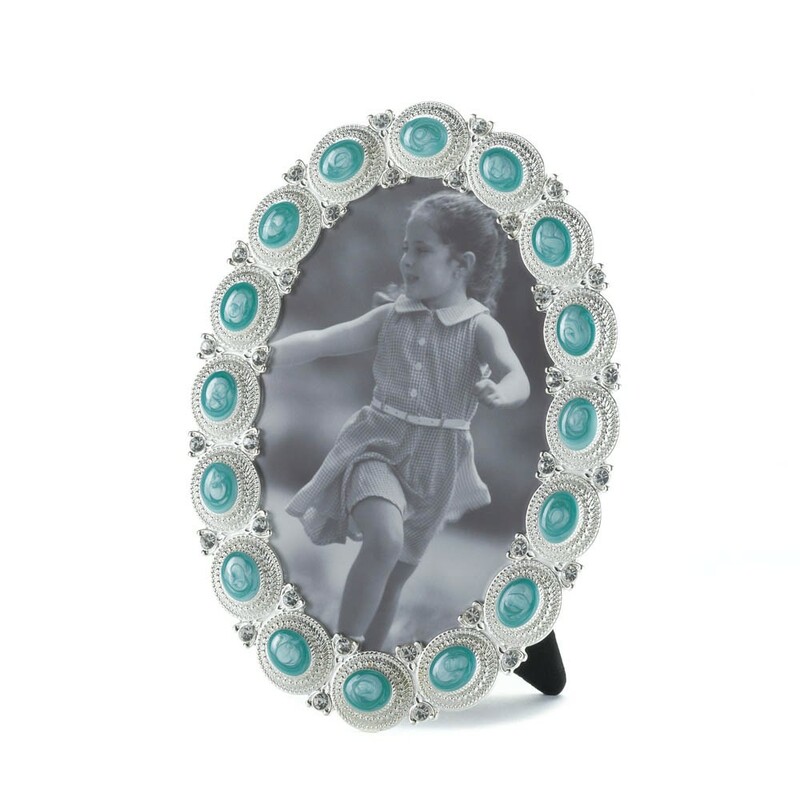 The gorgeous sea-colored cabochons set in pewter that surround this oval photo frame will make your favorite photo memory shine. 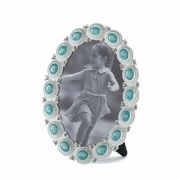 Its ready for your 4x6 photo and has an easel back for tabletop display. Overall Dimensions 5.62" x 3.25" x 7.62"